Is mass texting illegal? It's a question many of our customers ask us before signing up for service. The reality is that there are regulations governing certain aspects of mass messaging, and there are a lot of gray areas as well. There's also the issue of enforcement and holding spammers accountable for breaking the rules. In this post, we'll take a look at what you can, can't, and shouldn't do when mass texting. Given that we spend a considerable amount of our time on smartphones checking email, sifting through social media, watching videos, reading news, and checking texts, taking advantage of mass texting services is a natural, logical choice for help with communications for a new business or established organization. 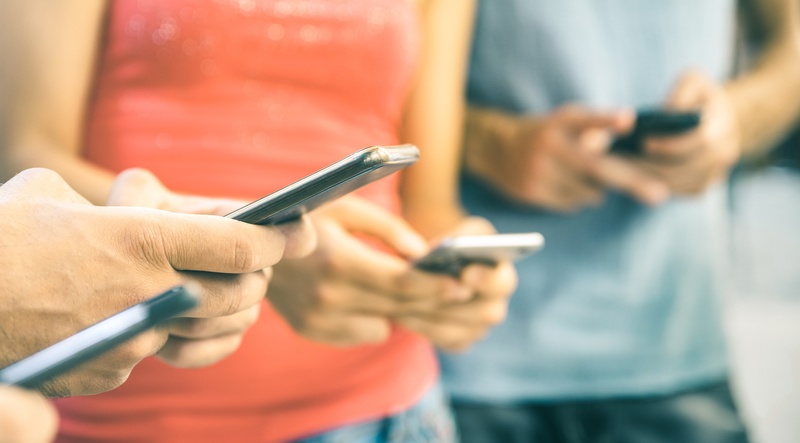 As long as you're reaching out to people with information they want, and you have consent to message them - a mass texting service can be a very powerful communication tool for delivering reminders, notifications, and alerts. Is mass texting illegal? Let's look at the law. While mass texting is by no means illegal, it is heavily restricted. The U.S. government has a long history of regulation protecting consumer privacy in relation to telemarketing and robocalls and this also extends to texting. The most relevant piece of legislation narrowing the scope of acceptable telemarketing practices came with the TCPA of 1991 which amended the original Communications Act of 1934. ● Calling before 8:00 a.m. and after 9:00 p.m. (recipient’s local time) is prohibited. ● Anyone registered in the National Do Not Call Registry cannot be a recipient of an organization’s mass calls or texts. ● Unsolicited faxes for the purposes of marketing are prohibited in any case. ● Robocalls to emergency services, hospitals, doctor’s offices, healthcare facilities are prohibited. ● Any calls made to lines for which the recipient is charged for the call are prohibited. ● Business conducting mass calls or texting must identify themselves, or identify who they are calling for. ● Companies must provide a callback number or reply option. ● A company or organization advertising via mass calls or texts must maintain a Do Not Call (DNC) list of recipients who do not wish to be called or texted. Opt out requests must be honored for at least five years. ● No solicitations can be made that take up two or more lines of a multiple line business at a time. ● Violations of the Telephone Consumer Protection Act give the recipient of any unwanted call or text the right to sue for up to $1,500 per unsolicited text or call. The problem with the 1991 legislation was that the meaning of prior consent could be interpreted fairly loosely. Consent was considered to be given if a customer or potential customer voluntarily gave the company their phone number. Or, if consent was implied, rather than explicit, that was also considered a green light for telemarketing calls and texts. Call-Em-All has taken a stand against unwanted calls. Our response to the TCPA is that we've chosen not to allow SMS marketing, promotional, political, or fundraising messages on our platform. Although some of the above may be legal in certain circumstances, we respectfully decline to allow this traffic on our network. Furthermore, our platform has some built-in features to help you stay compliant. Machine learning is used to identify other attempts to unsubscribe when contacts reply with more colorful language. When considering a mass texting campaign, don’t go it alone. Choosing a reputable company to assist you will provide you with the information you need to fully protect your company, while also getting the word out about your product or service. Litigation for violations can be costly, even for the most innocent of mistakes. Plaintiffs can claim up to $1,500 per text or call. If you’re texting potential customers or clients two promotions a week, that’s nearly $12,000 per month for just one recipient! Imagine how much you would be charged with if the number of plaintiffs were ten, twenty, or even in the hundreds. Taking your time to find reputable help with your texting campaign is crucial for the protection of your business. Call-Em-All can help you make sure you have crossed all of your T’s and dotted your I’s before engaging in any mass texting campaign. Please include attribution to https://www.call-em-all.com/ with this graphic.